Exclusive Preview: Garrison Keillor and The Saint Paul Chamber Orchestra, "A Night at the Fitz"
Garrison Keillor and Philip Brunelle have performed together with a long list of great orchestras: the New York Philharmonic, Boston Symphony, Los Angeles Philharmonic, Minnesota Orchestra and the San Francisco Symphony, to name a few. After years on the road, they brought the show home to the Fitzgerald Theater and the world-renowned Saint Paul Chamber Orchestra. As always, Keillor served as amiable host and narrator, Brunelle as guest conductor. In a warm and wonderful evening of storytelling, laughter and plenty of music, Garrison Keillor is joined by The Saint Paul Chamber Orchestra, led by Philip Brunelle and accompanied by Richard Dworsky. The program includes "Old American Songs," the "Aunt Eva" Suite, the "Lake Wobegon Hymn" (Dvořak), "Eight Love Sonnets," "Habanera," "Song of the Exiles," and "My Love Is Like a Red, Red Rose." Naturally, it also features Keillor's trademark wit and commentary, whimsical skits and gentle storytelling. Now, for the first time, you can stream A Night at the Fitz in its entirety. The limited-time preview can be found here and will be available until May 17. 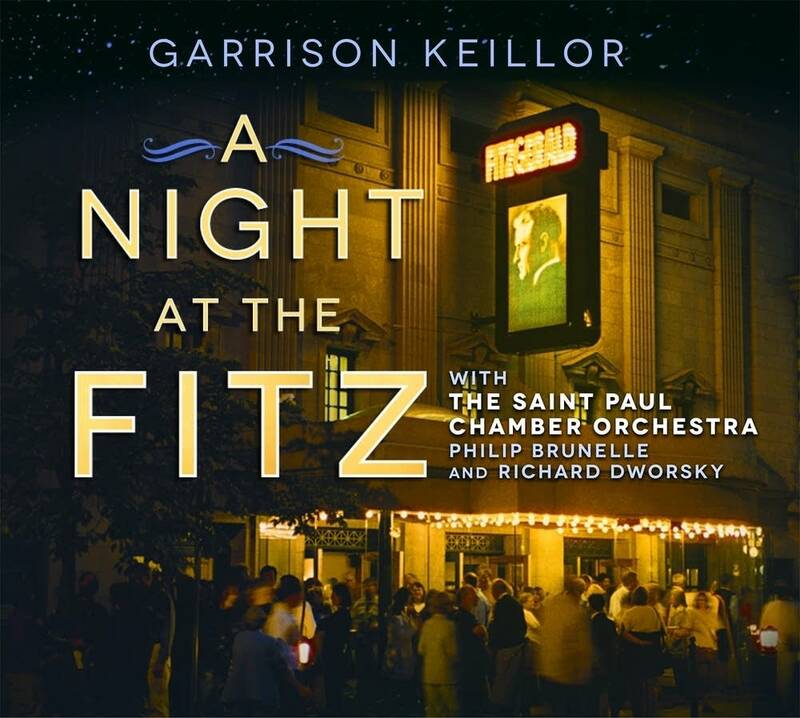 A Night at the Fitz with Garrison Keillor & The St. Paul Chamber Orchestra can be purchased at Pretty Good Goods.